During a collision of continental plates in a mountain-building period, the rocks around Hartland were thrust violently upwards into a mountain range whose peaks are thought to have reached 3,000m. Although the mountains have long since eroded, the towering cliffs from Widemouth to Clovelly consist of almost vertical strata, with dramatic chevrons where the huge forces at work folded the rock like paper. Blackchurch Rock arch is at its most spectacular when viewed from the coast path high above. Slumping at Hooken’s soaring white cliffs has created a terraced landscape that is a haven for wildlife. 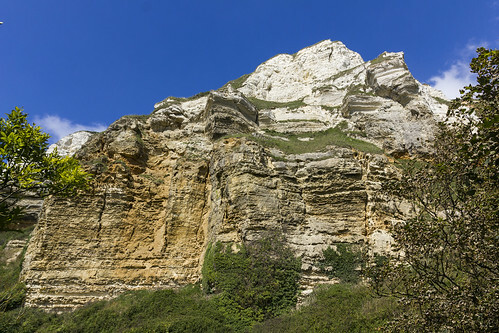 The Beer coastline is especially prone to landslips, since rainwater passes easily through the porous top strata but is unable to drain away through the clays below. Instead it spreads sideways, acting as a lubricant between the layers, so that eventually the tilt of the underlying rocks causes the top strata to slide into the sea. A catastrophic landslip in 1790 released nearly 15 million tons of rock onto the beach far below, moving the shoreline some 200m out to sea. Like this? Then give these a click! 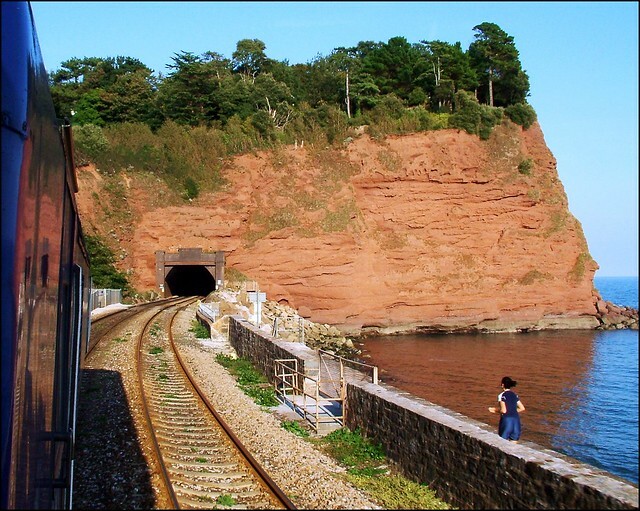 Cliffs in South and East Devon laid down in a desert environment are vividly red as a result of the hot, dry climate. Because there were no living organisms to use the oxygen, it formed iron oxide instead, giving it this colour. At Orcombe Point, sandstone boulders piled on a rocky platform at the foot of the cliffs provide a striking introduction to the 185 million years of geological history laid out ahead along the 95-mile Jurassic Coast World Heritage Site. Many of the older buildings in Paignton and Torquay were constructed from limestone rich in Devonian fossils, which have enabled geologists to identify five different types of this rock. Although all were laid down at the same time, scientists can tell from the fossils that it was in five slightly different environments. Another widely-used building stone, formed later, displays fragments of these fossil-rich limestones, embedded in the red sandstone of the younger rock. The process of freeze and thaw caused by fluctuating temperatures in the Ice Age created dry valleys, cut out by deposits of weathered material swept through by torrents of ice melt. North Devon’s Valley of Rocks is a breathtaking example, with its weathered crags towering over a valley where there is no river. A favourite haunt of Romantic poets Coleridge and Wordsworth, today the valley is equally popular with a large herd of feral goats. Charles Kingsley wrote of Westward Ho!’s pebble ridge: “The surges of the bay have defeated their own fury, by rolling up in the course of ages a rampart of grey boulder stones [which] protects from the high tides of spring and autumn a fertile sheet of smooth alluvial turf.” Behind the barrier, Northam Burrows provides a habitat for a number of unusual plants, and large numbers of overwintering and migratory birds gather here. 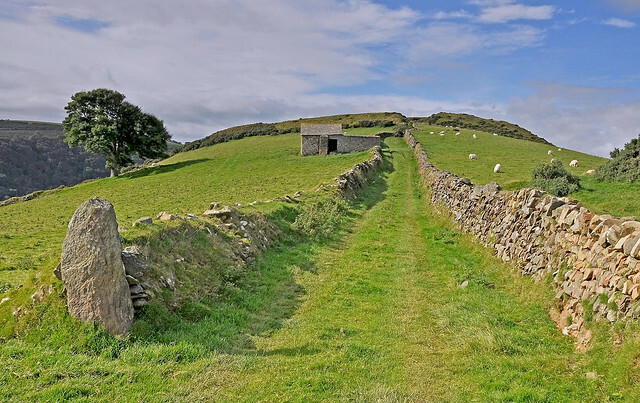 From medieval times, local residents earned their grazing rights on the common by participating in the annual “potwalloping” ceremony, replacing cobbles that had been swept from the ridge by spring tides. One of several batteries built on the south coast in response to Hitler’s 1940 Operation Sealion invasion plan, Brownstone Battery was manned by up to 300 soldiers, and many of its buildings and other structures are still in place, including the miniature railway used to transport ammunition to the lower gun position. 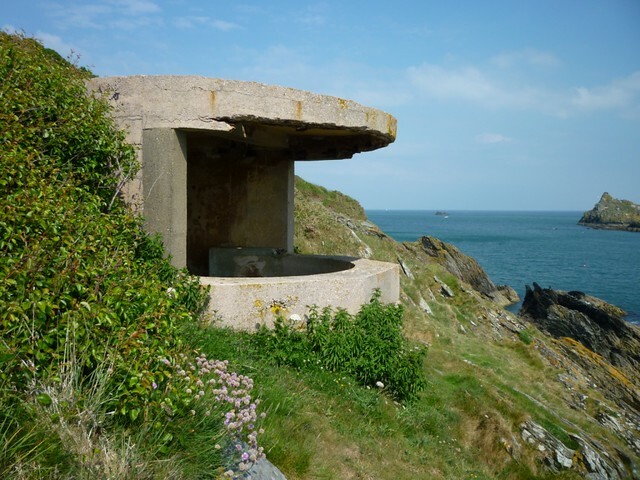 Now owned by the National Trust, it is one of the few surviving World War Two coastal defence positions and since 1981 the Trust have worked tirelessly to keep the encroaching scrub from completely engulfing the site’s remaining buildings. Countisbury’s Wind Hill is protected on two sides by steep wooded slopes and on a third by its plunging sea cliff, making it a highly defensible location. 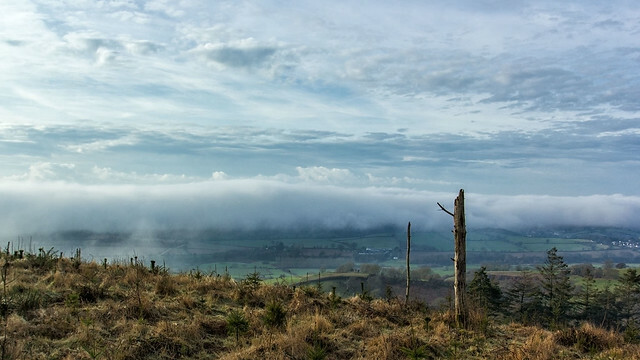 The hill fort built by its Iron Age inhabitants was still in use almost a millennium later, when the local Saxons camped within its ramparts after sighting Viking raiders in the Bristol Channel. Creeping out at night, they slaughtered the Danes sleeping on the narrow neck of land below, winning an important victory for King Alfred, who was holed up on the Somerset Levels. Mutter’s Moor – a unique habitat for many species of wildlife – was densely populated in prehistoric times. It is named after Abraham Mutter, an 18th century log merchant and turf-cutter. A member of the infamous Jack Rattenbury gang of smugglers, Mutter distributed the contraband in his donkey cart, under the very noses of the customs men based on the moor to keep an eye on the coast. Isambard Kingdom Brunel’s inventive but dramatically unsuccessful “atmospheric railway”, designed in 1843, used suction to power the trains. With no communication system, the pumping stations had to operate to a strict timetable, which relied on the trains arriving on time. However, technical hitches due to rats and salt spray caused frequent breakdowns, when the third-class passengers had to get out and push. Parson’s Tunnel is one of the five built by Brunel as part of the scheme. 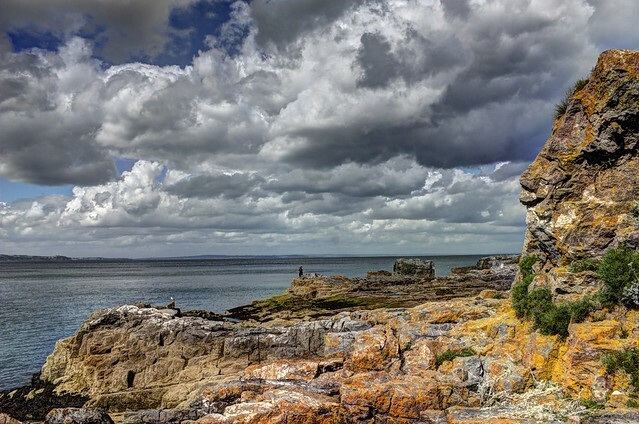 Hidden Landscapes of the South West Coast Path by Ruth Luckhurst tells the tale of England’s South West coastline and highlights some of the fascinating features to be found along its 630-mile length. It is published by Halsgrove.